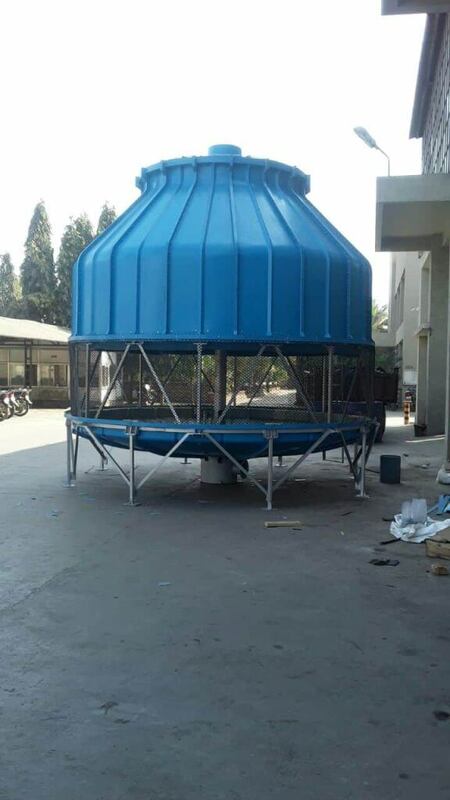 The round cooling tower is known for its outstanding design and technology. Being it round, the air flow in the cooling tower is evenly distributed. The tower design incorporates hot water inlet at the bottom collection sump flown vertically to the mechanical rotary sprinkler located above the fill media. The inlet water pressure rotates the sprinkler, featuring extended arm pipes with orifices to disperse water uniformly over the fill media. The evaporated water removes the heat from the remaining water. The warm moist air, which is driven through the fan deck will be discharged to the atmosphere. The stand-out features of the bottle cooling tower are compact design, with varying flute sizes, to offer maximum heat transfer surface per unit volume and contact surface area. 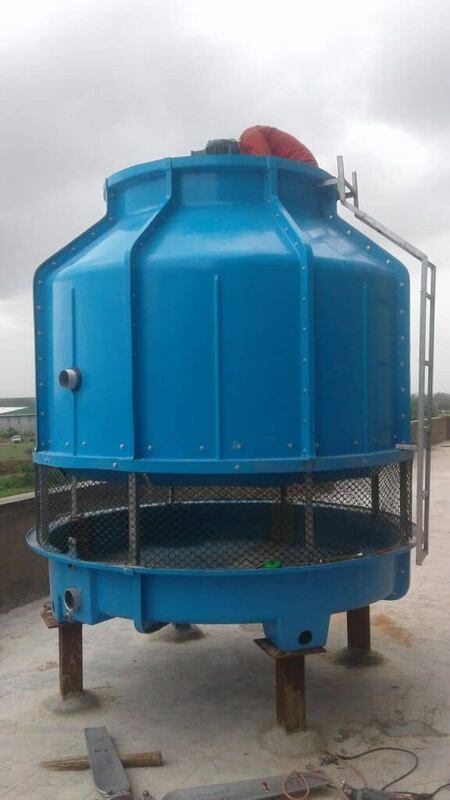 The applications of this cooling tower are, process cooling, hvac, chemical plant, refrigeration, light to medium industrial, pharmaceutical plant, steel melting and plastic processing plant.